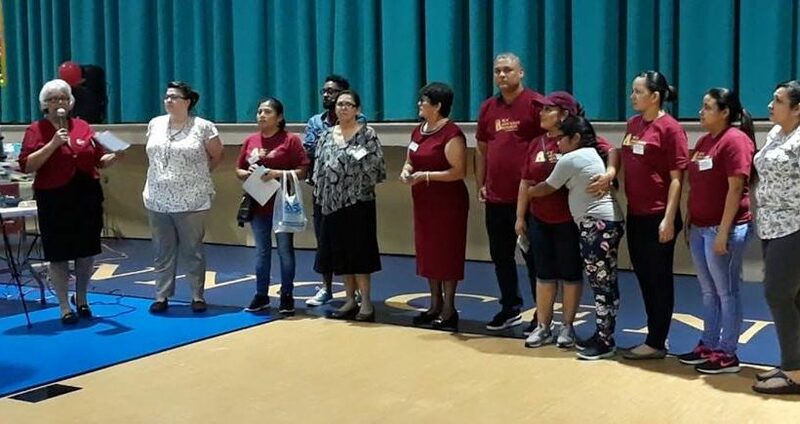 This year NSM organized a committee of twenty-five immigrant members who are part of Accompaniment. This committee – called Familias Unidas – launched NSM’s Community Fund for Bond and Legal Support. 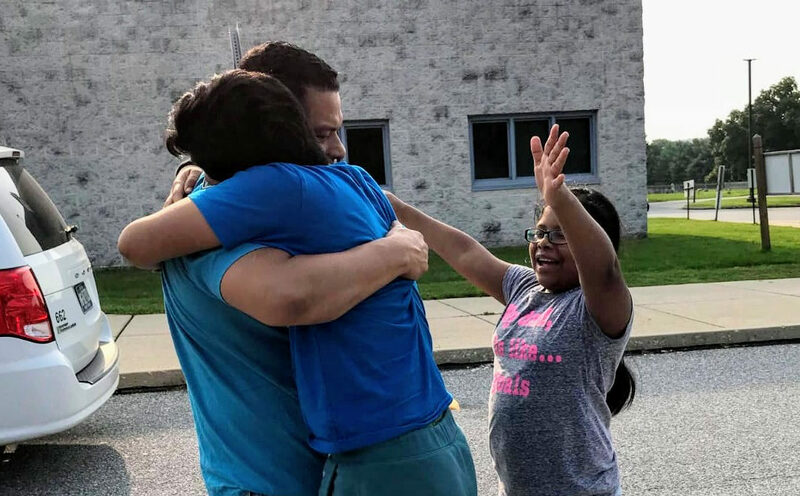 It is the only fund in the city to help immigrants get a family member out of detention or pay for legal fees, and has already helped six families since they launched the fund this summer, re-uniting families and proving the power of collective action. Freeing my husband had a deep impact on me. I felt stronger because the group gave me strength and emotional support. I felt stronger with NSM. God has a plan for everything and the change for my family was a total transformation. For me the committee is a family of the heart. The seeds for the Community Fund began after the election, when we experienced a dramatic spike in the number of people in our Accompaniment program. In 2018, we began organizing them. 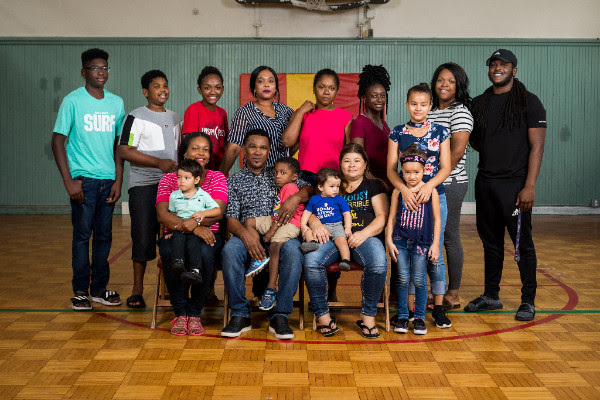 Maria conducted over 100 one-on-one meetings with immigrant families in Accompaniment and in the late Spring of 2018, organized a committee of 25 people to decide what they wanted to do together. 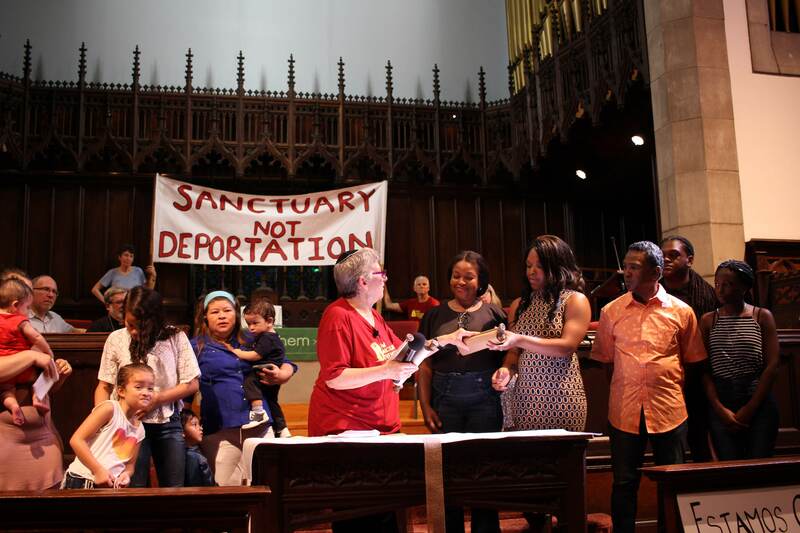 As the group named the different challenges they faced as immigrants of color, one of the biggest challenges was the financial strain caused by having a loved one in detention or fighting deportation. Bonds are set at $10-$15,000 and must be paid in full to get a family member out of detention and back home. Lawyer fees can be impossible to reach. Even the daily bills are hard to meet when a wage earner is in detention. The committee continued to meet and decided to launch NSM’s Community Fund for Bond and Legal Support. Now, they are working to build on this initial success so we can help more families in Philadelphia. To support the Community Fund, click on the donate button and choose Community Fund in the drop down menu. 100% of funds go to families.